First I thought about a re-run of Smallville but I have watched this in the middle of last year and it's been a while since I've watched Stargate SG-1. In order to watch Stargate SG-1, one has to watch Stargate first. Synopsis: Dr. Jackson is not very renowned in the scientific community. But he is convinced that the great pyramids weren't build during the fourth dynasty 5,000 years ago. He believes that they are much older. A digging back in 1928 confirms his suspicions: buried in the sands of Egypt under a great cover stone with unknown symbols - not hieroglyphs - the Door to Heaven Stargate was found. The Stargate is an ancient device to open an intergalactic connection to the planet Abydos. Dr. Jackson and Colonel Jack O'Neill (and a group of soldiers) go there. O'Neill's job is to evaluate the danger of the situation they are facing. My Opinion: Unfortunately I haven't seen this movie in the theatres (I went to Star Trek: Generations instead). The idea that alien cultures have been to Earth and have had an influence isn't new, but it was interestingly presented. I also liked that the Abydosians really spoke abydosian (a variant of ancient egyptian) and not just english. The fights were very well choreographed, too, I didn't have the feeling that the weapons of the humans were a match to the ones of Ra's. My Opinion: A very good pilot which takes upon the events of the movie and continues to tell the story. It simply ignores the contradictions to the movie instead of giving some cheesy excuses. Only Teal'c's switching of sides was a bit too fast, he doesn't know Jack at all. But I can't come up with a better plot on how to manage this. Synopsis: Kawalsky has more and longer headaches and phases of black outs after which he can't remember anything. Back on Chulak he was taken over by a Goa'uld larva and now they fight for the mastery of the body. Meanwhile Teal'c is being interrogated by a men from Langley who wants to learn more about the Goa'uld. My Opinion: I liked the fact that they didn't accept Teal'c blindly in their team, even though Jack thought that he deserved it. It still went fast in the end but at least they mentioned their doubts and pointed out the problems. 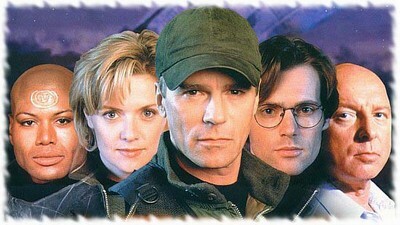 Now SG-1 is complete: Jack O'Neill, Daniel Jackson, Sam(antha) Carter & Teal'c. Synopsis: SG-1 arrives on a planet where the population leads a life like in the times of Genghis Khan. It is forbidden for women to appear unconcealed in public, neither is it allowed for them to speak unless spoken to. Carter soon collides with these laws. My Opinion: "SG-1 arrives on a planet" - I wonder how often I will write this sentence in this marathon. I didn't like this episode much, mainly because they tried to communicate the morale with the grace of a sledgehammer. I nonetheless like the fact that they at least argued about the fact whether it is right to interfere with local customs and affairs. Synopsis: On a planet whose one side is always away from the sun, SG-1 and SG-2 are attacked by a group of humanoids. But these people seem to be from an earlier stage of evolution than the homo sapiens. On the day side do the "Untouched" live, but sometimes one of them is "cursed" and becomes one of the "Touched" and is banished to the dark side. After the return to Earth, members of both teams also devolve. My Opinion: I liked this episode because it was an out-of-character episode, finally Sam could seduce Jack. But I have to say this won't be the last episode of this kind. From all Science-Fiction characters, no one had to endure as much as any of the SG-1 characters. Synopsis: The leader of SG-9 declared himself God on the planet his team has been for over five weeks. Why? Because the people there believed that he was a god. Now they have to work in the deadly sun to build him a temple and SG-1 has to stop him. My Opinion: This episode was ok, but not exceptional. No matter how they tried to explain it, I can't believe that an unstable captain like this would have ever been assigned to such an important project like the Stargate missions. Synopsis: In a crater on a lifeless planet SG-1 finds a number of destroyed crystals. They take some of them back to Earth. But they leave Jack behind - unknowingly. My Opinion: I liked this episode because we see the past of one character for the first time - especially the past from before Stargate. Even though it wasn't Jack himself, he (the real Jack) confirmed that he has a "fairly good idea" of what Jack-Copy said to Sara. We therefore can assume that he feels in a similar way. 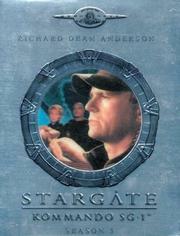 Synopsis: Some people begin to having doubts about the usefulness of the Stargate programme. None of the SG teams has brought back any superior technology which could be used against the Goa'uld. To change this, Teal'c leads the team to a planet where animals live that can cloake themselves completely. My Opinion: This was actually the very first episode I've ever seen of Stargate SG-1. Back in 1998 I was on vacation in the Algarve (Portugal) and one evening I zapped through the channels until I saw this episode and thought "Hey, that's MacGyver!" and "I know this guy from somewhere, too.". Unfortunately my English wasn't good enough to really understand what was going on, but it looked interesting. Synopsis: The Goa'uld Pelops reduced the lifespan of the inhabitants of Argos down to a hundred days. They grow and age accordingly. They praise Pelops until they find out what he has done to them. But Jack gets infected by the virus and he has to die within a fortnight. My Opinion: They try and try but aging masks never look really real. This was more a filler episode, there will be better and longer moments for Jack to reflect his life. Synopsis: On a planet that is protected by the nordic god Thor, Teal'c gets imprisoned in a labyrinth because of his Goa'uld larva - and Jack with him. Sam and Daniel try to find them, while Jack and Teal'c try to escape from the labyrinth and the thing that has dwelt there cince centuries. My Opinion: I liked the episode in general, Darth Vader's James Earl Jones's voice gave the Unas the right sound. But even when I saw the episode for the first time I had my doubts of whether it was the right decision to destroy Thor's Hammer. The team makes a lot of gut decisions without even thinking about long-time consequences. Here they've just endangered the security an an entire population. Synopsis: Daniel finds archive footage that shows that the gate has been opened before. Back in 1945 Catherine's fiancé (Catherine was the project leader during the first Abydos mission; her father found the Stargate during a digging in Egypt) went through but never came back. He went to a place that the Goa'uld know nothing about and SG-1 has the order to bring him back - if possible. My Opinion: This episode was tragicomical. On the one hand there was this lonely, old man who hasn't seen a human being for 50 years. On the other hand was it funny to see how embarrassed they all were when he ran around naked. I really liked it when Dr. Littlefield convince Daniel that some prices are too high to be paid for the gain of new knowledge. Synopsis: Teal'c wants to return to Chulak, with or without SG-1. Teal'c has to admit that he has left his family behind. His son Rya'c has reached the age for the Prim'ta: he will recieve his first Goa'uld larva. Teal'c wants to prevent exactly this. But he is regarded as Shol'va (traitor), who has betrayed his god. My Opinion: The first appearance of Tony Amendola in his role as master Bra'tac. I liked the man from the beginning. In this episode you realize for the first time what Teal'c has given up when he switched sides. Until now one could believe that he was single and has only left his belief behind. Synopsis: Jack, Sam and Teal'c return from ann off-world mission on which Daniel died. The funeral service takes place in the Stargate room. All three of them know that Daniel is dead but they can't really accept it. And Daniel has to think about the fate of Omoroca. My Opinion: Nice funeral. One could have thought that Michael Shanks has left the show. But Daniel's part in this episode was rather boring, especially with that repeated question "What fate Omoroca?". Synopsis: In a mayan temple a sarcophagus with egyptian hieroglyphs is found and shortly after the inhabitant of that sarcophagus breaks out. Then she is on the way to the Stargate. My Opinion: The women fight while the men can only think about the one thing. It was fun to watch and I liked it a lot. I found the remark interesting, that Hathor is both child and wife of Ra's. That's not an uncommon concept among ancient gods. Hera also was Zeus's daughter and wife. Synopsis: There is planet where one can observe a nearby (in cosmic dimensions) black hole during a solar eclipse. But suddenly a people die, locals as well as the members of SG-7. Only one small girl seems to be immune to the plague but even she gets worse during her stay on the Stargate base. My Opinion: Good episode. I presume that the name of the girl, Cassandra, was no coincedence. Although the connection to the mythological Cassandra is only given through the fact that both are connected to a trojan horse. Synopsis: The team visits a planet on which Teal'c has been before - as First Prime of Apophis. Now he has to face his past in a trial. My Opinion: I loved Teal'c's behaviour. He faces the consequences and he does not flee even if it means to die. That his friends try to rescue him is understandable, but I thought that Teal'c did the only right thing. His charge wasn't just the riddiculous crime of crossing a white line. Synopsis: SG-1 saves a group of people from a dying planet. But these people don't seem to be very grateful for their rescue and they deem the people of Earth as primitives. Colonel Maybourne from the NID has orders to bring these people to a secret location. My Opinion: Like back in the days with Teal'c two sides collide. On one side are the people of Stargate Command who think in terms of "right and wrong". On the other side are people who wish to gain a military advantage. Luckily on Stargate SG-1 "right or wrong" often wins. Somehow I liked the grouchy Omac. 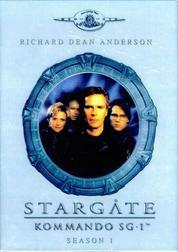 Synopsis: During a travel through a Stargate back to Earth an accident happens. Teal'c and Daniel return to Earth but then the wormhole breaks down. Jack and Sam land in an ice cave on a totally different Stargate. My Opinion: I liked this episode a lot, especially some of the comments. Sgt. Siler explains to General Hammond that he will need 24 hours to reactivate the gate. Hammond gives him 12. Siler's reply "It doesn't work that way, Sir!". Scotty would have made it in 6. I also liked the question - directed at Teal'c of all people - of what happens, if you dial your own number. The flaw of this episode was the fact that Carter never tried to dial another address after she resetted the DHD (Dial Home Device). I mean, there was a gate accident, was it so unlikely that the connection couldn't be established because of the Earth gate? Synopsis: After they've returned from a weird mission, the SG-1 members get the feeling that they aren't themselves anymore. They aren't even humans anymore. They are machines. They travel back to the planet and confront Harlan - the only inhabitant. My Opinion: Harlan is the only inhabitant of that planet and everytime such a thing happens, something strange is going on with SG-1. I like Harlan, he is a funny guy. BTW: When we see Jack's front and his back then we see the back of Dan Shea. Dan was RDA's stunt double on MacGyver and he is it on SG-1. He also plays Sgt. Siler. Synopsis: An artefact that looks like a mirror brings Daniel into a parallel universe. When he returns to Earth, everything is the same and also different. But then Apophis' troups attack from the orbit. My Opinion: It mustn't be any artefact, it has to be a mirror. Episodes in a mirror universe are always interesting because they fall under the category of "What if". I also liked Teal'c's haircut. Synopsis: Senator Kinsey is head of the committee that oversees the Stargate project's budget. But he won't spend any more money on this project unless he is convinced of it's purpose. So he comes to Cheyenne Mountain to see the project for himself. My Opinion: This is the "We've spent to much money on the FX and now we have to make a really cost-effective episode" episode. This is not uncommon, usually they find a reason to show a lot of archive footage and thus reduce the production costs of the current episode. Synopsis: After Kinsey has shut down the Stargate Command, SG-1 goes through the gate without permission. They go to the address Daniel brought back from the mirror universe, because that's the point from which the attack came. Suddenly they find themselves on a Ha'tak (Goa'uld mothership) that is on its way to Earth. My Opinion: Great cliffhanger. I also liked the gag with the acceleration/deceleration. But they stopped using that later on (they also stopped using the ice-effect when going through a Stargate). This episode gives even more hope than Thor's Hammer that something of the host survives when the Goa'uld takes over. The Season - My Opinion: A good start to the series. Granted, there were weaker episodes but they had to warm up. The general framework of the series is set up and most of the major players are already on the playing field. The others arrive soon and then they can play the game for the next seven seasons until the rules are changed. Synopsis: The Goa'uld Klorel who has possessed Skaara's body commands a Ha'tak that is in close proximity to Earth. His father Apophis has also arrived in the Earth system with another Ha'tak. SG-1 has mined Klorel's ship but even if Apophis were alone, his ship could devastate Earth. My Opinion: Good conlcusion. But I think the effect to see Daniel again would have been better if we hadn't seen him escape through the Stargate. They oculd have told us this afterwards instead. This way they could have avoided the plot hole of how Apophis and Klorel escaped because there wasn't simply enough time for them. I loved the dialogues between Bra'tac and O'Neill where the former always prepared to die and the latter tried to find a way out. Synopsis: During a rescue mission Sam gets possessed by a Goa'uld. He calls himself Jolinar of Malkshur and claims to be a Tok'ra. The Tok'ra are opposed to the System Lords. But there is another Goa'uld who managed to slip thourgh the gate to Earth: An Ashrak, an assassin in the service of the System Lords. His job is to kill Jolinar. My Opinion: Arrogance seems to be a natural attitude among Goa'ulds, no matter if they see themselves as "good" or "bad". This episodes sets certain things in motion but was unspectacular in itself. Synopsis: Owing to unfortunate circumstances, the members of SG-1 land on a prison planet that has no DHD. Of course they try everthing to break out. My Opinion: It was obvious that there was more to the "herbwoman" that met the eye. How else could she have gained the respect of the big blokes? But once again SG-1 did serious damage without knowing it until it was too late. Synopsis: SG-1 comes to a planet were its few inhabitants are in some sort of stasis. SG-1 also gets caught and they find themselves in the meories of their worst moments. My Opinion: Has Diwght Schultz ever played a completely sane character? This episode was interesting because we've learned something about their past again. But I had wished for a peek into Sam's or Teal'c's past. And Jack's worst moment is without doubt the death of his son. At least we know now that the Goa'uld inside Carter changed something in her. Synopsis: When Daniel saves the daughter of the local king, SG-1 is captured. Except for Daniel they have to work in the local Naqahdah mine (Naqahdah is the ore of which the Stargate is made). Daniel is enjoying the pleasures of the royal court - including a Goa'uld sarcophagus. My Opinion: Excellently played by Michael Shanks. First the growing apathy regarding the fate of his friends and then the following withdrawal syndromes. I liked it a lot. Synopsis: The planet, on which SG-1 destroyed Thor's Hammer (Thor's Hammer), has been overrun by Heru-ur's Jaffa. SG-1 feels responsible for the population and tries to find the "Hall of Might". They suspect that they will find weapons which can be used to fight Heru-ur. My Opinion: "No good deed ever goes unpunished." (Ferengi Rule of Acquisition #285) One thing I like about SG-1 is, that previous events are not forgotten. They may have been written as standalone episodes but the writers often find a way to continue to tell this particular story. This will happen to several episodes we've already watched and it will happen again in the future. I also liked the idea to present the Asgard as the Roswell aliens. Synopsis: SG-1 retrieves an object from a planet without atmosphere. They believe it's a time capsule until it "pins" Jack onto the wall and something infects the basis from it. My Opinion: Average episode, except for the fact the the basis is nearly taken over (again). Synopsis: Master Bra'tac comes to Earth to tell Teal'c that his son Rya'c is being held hostage by Apophis. Teal'c and SG-1 return to Chulak to free him. My Opinion: The family traditions amongst the Jaffa are very archaic. I liked the episode because Teal'c would have done anything to rescue his son. But the behaviour of the new husband was predictable. The Zat'n'ktel ("Zat Guns") is a very useful weapon. It was a good idea to give the Jaffa another weapon type beside the staff weapon. Synopsis: As promised, after an abydosian year Daniel returns there. Unfortunately he returns with empty hands, both Sha're and Skaara are still Goa'ulds. Surprisingly Sha're/Amonet is already there - and advanced in pregnancy. Meanwhile Jack and Sam are about to receive a medal by the president himself in Washington, D.C..
My Opinion: They have found a good way to rejoin Daniel and Sha're without removing the Goa'uld. I also liked the sham they did to Amonet, Apophis and Heru-ur. But the most emotional moment of the episode was when you see something break in Jack. The moment, when General Hammond points out to Jack, that "It was an accident!" - you simply know, that it isn't true. Synopsis: On an uninhabited planet - that was once inhabited - Teal'c is stung by a bug that rewrites his DNA. Colonel Maybourne from the NID takes Teal'c to a research institute to have him examined. My Opinion: I liked this episode, too, especially the interaction between Teal'c and the little girl. The end was cool, when Teal'c runs through that old building, equipped with sun glasses and a water rifle. Synopsis: After a dream/recollection of Sam's, SG-1 visits a planet where they supsect to find the Tok'ra - enemies of the System Lords - and they indeed find them. The Tok'ra create tunnels and caves with the help of crystals that give them cover and protection. But the Tau'ri (Goa'uld name for the Earth humans) have nothing to offer to the Tok'ra that would benefit them and that would justify an alliance. My Opinion: The Tok'ra need hosts and Sam's dad Jacob is terminal ill. It is obvious what will happen in the second part. I liked the episode nonetheless and Martouf/Lantash is a very likeable person. Synopsis: General Jacob Carter is visited by his daughter and General Hammond in the hospital. He finally learns why his daughter refused his proposal to get her into NASA. The host of the Tok'ra Selmak is dying and Jacob is supposed to take her place. But then the Tok'ra planet is attacked by Goa'uld motherships. My Opinion: The introduction of Jacob/Selmak was a good idea, SG-1 has now a close connection to the Tok'ra. But it happens surprisingly often that the "primitive" Tau'ri have to save the butts of the higher developed races, in this case the Tok'ra. This was a very good two-parter. Synopsis: SG-11 mines an ore called Trinium. This ore is especially hard and SGC wants to use it for armor plates and other things. One week SG-11 doesn't call in as planned and SG-1 goes to the planet. There they meet a tribe that descends from native americans and their "spirits" who protect the tribe. My Opinion: What I like most about Jack are his high moral standards. He has no problem with confronting his superiors when he thinks that something is morally wrong. In this episode he draws parallels to the colonization of the american continent, especially the dealings with the indians. Synopsis: SG-1 returns to a planet where they wish to examine a wheather control system. But it was stolen and thiefs seem to have come from the SGC (Stargate Command). As it soon turns out, these people didn't come through the gate in Cheyenne Mountain. My Opinion: This was an indirect continuation of the previous episode. Was the device stolen by someone under the order of SGC? The peek into Area 51 was also very interesting. But in general this episode was an average one. Synopsis: Sg-10 didn't make it back through the Stargate. When a connection from Earth is opened it can't be closed anymore. One of the two suns of that system has recently collapsed and was transformed into a black hole. Through the open wormhole SGC and Earth are also effected by it. My Opinion: Whether or not this episode made sense from an astronomical POV doesn't matter to me. It was very exciting, especially with the several lapses of time within the base and beyond. I liked it a lot. Synopsis: On a remote planet the Stargate seems to be enclosed in a room with no exit. But there is a ring of text written in the same language that was found on Ernest's planet (The Torment of Tantalus). Jack accidentally activates a machine that downloads all the knowledge of the Ancients - one of the four old races - into Jack's brain. And that has unexpected side effects. My Opinion: I love episodes where the actors are condemned to silence because their character has lost the ability express himself/herself. It's funny to see the desperation on their faces. The scene at the end where the Asgard and O'Neill shake hands strongly reminded me of E.T. with Jack obviously being Elliot. Synopsis: Apophis - who has many enemies - is very weakened in his position as System Lord. When he is hunted by Sokar, he seeks sanctuary on Earth. In exchange for a new host he offers the secrets of the Goa'ulds. But Sokar wants him badly. My Opinion: I liked this episode because we see more than usual of Peter Williams (Apophis) and we hear his real/unchanged voice. Even the age mask looked good. That he wouldn't get a new host was a given, but I could imagine that some people in Washington acutally considered it. Synopsis: SG-1 comes to a planet where only an old man lives but there are also some strange machines. But when they return from there, Daniel doesn't seem to be himself anymore. According to IMDb, this episode and the previous one were aired the other way around. * It doesn't matter. Actually it does. Both episodes are centered around the same topic, only this time a "good guy" occupies an already inhabited body. To grant Apophis now new body is one thing, but Machello? The other way around would be consistent, if even Machello wouldn't get a new one then Apophis wouldn't get one for sure. The funniest part was without question the body switch of Jack and Teal'c, because both actors could fall out of their role. I couldn'r recognize Michael Shanks (Daniel) as Machello visually but I recognized his voice immediately. But I can't recognize his voice when Shanks is speaking Thor. *Wikipedia: British Sky One aired "Serpent's Song" on January 6, 1999, and "Holiday" one week after on January 13, 1999. US Showtime however aired "Holiday" on February 5, 1999, and "Serpent's Song" one week after on February 12, 1999. The British order is also the episode order on the DVDs. Synopsis: The UAV (Unmanned Aerial Vehicle) has crashed on a planet and has to be retrieved. In close proximity to the crash site SG-1 encounters a humanoid race. Shortly after some of the aliens get sick and it's spreading. My Opinion: A very quiet episode (literally and figuratively) which I liked because of the discussion and decision about morale and responsibility. I also liked the argument between Jack and Daniel. Synopsis: A small boy comes through the Stargate because the Iris didn't close. He warns them about a rebel group within the Re'tu race. These rebels want to destroy all possible hosts for the Goa'uld after the Goa'uld tried to exterminate the Re'tu. Unfortunately these aliens are out of phase and invisible for the human eye. And one of them is already in the base. My Opinion: Peter DeLuise (21 Jump Street, SeaQuest) has his first cameo appearance. Since Serpent's Song he has been on the series as director, creative consultant, supervising producer and writer. The episode itself was ok, but not extraordinary. 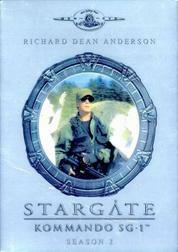 Synopsis: SG-1 goes from the SGC through the Stargate and lands - in the SGC again. But just for a short moment, then the Stargate disappears and they stand under a nuclear missile that is just being prepared for a test ignition. They are stuck in 1969 - until a young Lt. Hammond helps them. My Opinion: Really great episode, even though the time travel logic is a bit holey. The four (especially Teal'c) as hippies and their flight from the "establishment". I was greatly entertained. Synopsis: Jack awakes in 2077 and learns that the rest of his team is dead while he was held in cryo stasis . Now there is a crew and the scientists of the SGC try to find out what happened back then. For this he gets linked to a machine that visualize memories. Sam and Daniel also wake up alone and learn the same thing. My Opinion: The cliffhanger itself was ok, but to end the season with a low-cost episode is not a good idea. Last season they found a better solution. The Season - My Opinion: After the Tok're and the Asgard appeared the play board is complete (for the time being). This season showed a good mixture of Earth and off-world episodes and had a good balance between action episodes and those that dealt with moral issues. Synopsis: Hathor has set up a quite good copy of the SGC. She wants that one of the three (Jack, Sam & Daniel) becomes a host to a Goa'uld. And General Hammond has no authority to send reinforcements to free SG-1. My Opinion: This was a far better continuation than the first part could promise. As far as I know it was for the first time that we've seen a Gao'uld Deathglider (although a dated model) flying through a Stargate and it looked really cool. I also liked the fact that Teal'c tried to convince his brothers and sisters to join his path. Synopsis: The biblical figure Seth is also a Goa'uld but he has disappeared for thousands of years. He is on the run from both the System Lords and the Tok'ra. As it turns out, Seth keeps himself hidden on Earth and is a leader of a cult. There have been "Cults of Seth" before and they always ended in the collective suicide of the worshippers. My Opinion: I like the idea that a Goa'uld could be a cult leader and is using Goa'uld technology for this. But this episode had many logic holes and I don't like them. For one, how Seth is able to build new ring transporters on Earth. Or where he got himself a personal forcefield, a technology that was new to Teal'c in the first season. Even the ear device with the electrical shock was implausible because it couldn't possibly be as strong as a Zat Gun. Interesting is the fact that the humans have increased their Goa'uld killing rate, first Hathor and now Seth. Synopsis: Sam gets promoted to Major but in the moment Jack wants to congratulate her he gets beamed up to an Asgard mothership. Thor is in the orbit of Earth and he brings a warning: The Goa'uld see the Tau'ri now as a serious threat, after they rid themselves from three System Lords (Ra, Apophis & Hathor). The Asgards plan to include Earth into the Protected Planets Treaty and for this three System Lords come to the SGC: Cronus, Nirrti and Yu. My Opinion: One should neither poker with Jack nor with Thor. I again liked the fact that they took elements from former episodes and continued them: The protected planets from Thor's Hammer, Nirrti from Singularity and the Re'tu from Show and Tell. Ironically the Re'tu will be mentioned again but we've never seen them again since Show and Tell. Synopsis: SG-1 finds nine death Goa'uld from the "minor league" but they can't explain how they died. But then Daniel starts to hallicinate and hears voices. He has to go to a mental facility. My Opinion: Again a great acting of Michael Shanks. I loved the trip to the nuthouse. Synopsis: On a planet that seems to be a descendant culture of the Aztecs, SG-1 meets children that are very eager to learn. A girl at eleven years explains to Sam how the Naqahdah reactor works that she has designed. Another boy wants to learn everything about the culture and the battle tactics of the Goa'uld from Teal'c. But the future of these children is rather gloomy. My Opinion: In my opinion "Clash of Cultures" is the right term here. The Orbanians are no "bad guys", they have just another way of living than we do. I still liked the fact that Jack followed his heart again. Synopsis: After Earth has been overrun by the Goa'uld, Sam and Major Kawalski have to escape through the dimension mirror - into our world - and they ask for asylum. Suddenly there are two Sams and that leads to unexpected side-effects. My Opinion: Jack & Sam. I like it when they hint to that possibility during the run of the series but never actually realize it due to the rules set by the US military. The toying with alternate realities is always interesting, as it is this time. I also liked that they kept Teal'c's face in the shadows to not to spoil the gag. BTW: The beards of Apophis and Teal'c were a reference of the producers to Spock's beard in the mirror universe. 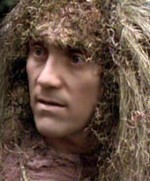 Synopsis: SG-1 is caught by a bounty hunter who wants to trade them to the System Lord Sokar. But he offers them a deal: If they help him to catch the Goa'uld Kel'tar they are free to go. But Kel'tar isn't who he seems to be. My Opinion: Sam J. Jones (Flash Gordon, The Highwayman) may not be a good actor but I like him anyway. He has a dry from of humour that I like. When the transport ship (Tel'tak) decloaked I felt strongly reminded of the first time a holodeck door opened in the middle of a landscape. I still like this effect very much. Synopsis: In a village that seems to be based on a middle ages christian society is a woman that is to be sacrificed to a demon. She is supsected to be possessed but is just ill. SG-1 prevents the sacrifice but subsequently gets into trouble. The word demon is not randomly chosen this time: The Demon is an Unas in service of Sokar. My Opinion: I am very bad at recognizing faces, if I haven't seen someone several times I don't recognize him/her. But in the moment I saw Simon I knew it's the same actor as the prosecutor in Cor-ai and I was right: both were played by David McNally. As for the episode: I didn't like it that much because I didn't like the explanation of how a middle ages christian society can be found on another planet. Synopsis: SG-1 meets an unidentified SG team that is under heavy fire by Jaffa. But the moment they want to help them they get shot by the "SG team". As it turns out are both "SG team" and "Jaffa" humans on a training mission under the order of Apophis. No one there knows that Apophis is dead and SG-1 has to explain that their mission is no more. My Opinion: These soldiers (who are no Jaffa) strongly reminded me of the "Volkssturm", being the last resort of Apophis. I was glad that SG-1 could show them the futility of their mission without causing too many casualties. Synopsis: Some of the Abydosians - including Daniel's father-in-law - have been captured by Amonet who has also retaken her and Apophis's child. When SG-1 attempts to free the Abydosians, Teal'c is forced to kill Amonet/Sha're who in turn was trying to kill Daniel. But Sha're manages to send one last message to her husband. My Opinion: This was a very good ending to the Amonet/Sha're storyline. They gave her a worthy exit that remended me positively of Angel's You're Welcome. And now Daniel has a new mission: to find the child of Apophis and Amonet, the child that has all the knowledge of the Goa'ulds. Synopsis: SG-1 comes to a planet that has neither elders nor children. And all the other people have lost all their memories one year ago. Hints indicate that this could be the work of Linea, the Destroyer of Worlds (Prisoners), who SG-1 has inadvertently freed. It's also not impossible that she is still on the planet. My Opinion: Another good episode. Can a person have a change of heart? Hasn't Teal'c already proven that it's possible? I liked it. Synopsis: Jacob/Selmak has been captured. He is held prisoner by Sokar - who imposes the devil instead of a god - on a moon (Ne'tu) that literally has been turned into hell. Sokar plans a massive assault on the System Lords and Jacob/Selmak has inside knowledge. The problem is: There is only one person who has ever managed to esape from Ne'tu: Jolinar of Malkshur. My Opinion: These Goa'ulds just don't know when they are supposed to have died. Apophis is back! Actually I like it, Apophis is a worthy opponent and his new mask looks "good". A very thrilling cliffhanger. Can't wait to see the conclusion.